Instore spending drove a moderate 2.6 point increase in GlobalData’s total retail spend index as many consumers in the UK began their Christmas shopping, persuaded by retailers starting to promote gifts and partywear. However, online spending decreased as shoppers held back in anticipation of the Black Friday deals in November, according to GlobalData, a leading data and analytics company. The company’s latest report: ‘UK Monthly Spend Tracker – October’ shows an increase in spending on toys & games and sports equipment – two important categories for Christmas gifts. Retail spending as a proportion of overall consumer spending remained stable versus September as consumers show few signs of cutting back on non-essential items. 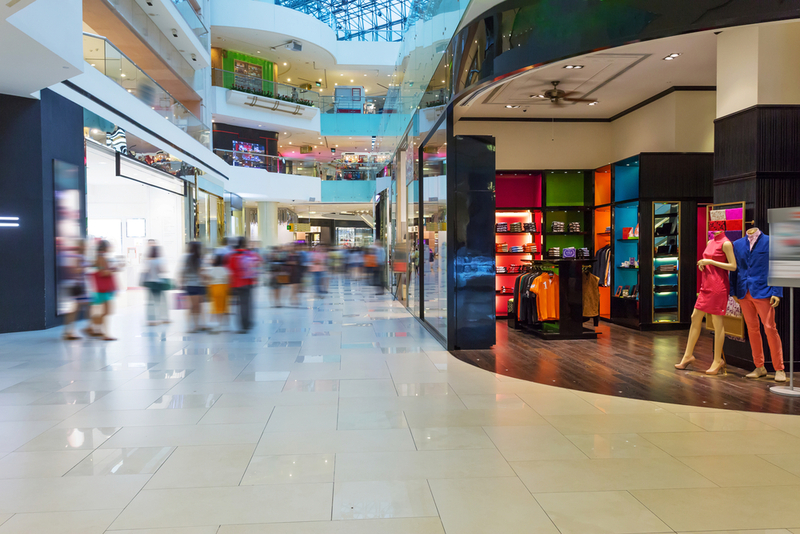 The majority of sectors experienced increases in total retail spend indexes versus September, but footwear was an exception to this as the weather remained fairly mild, hampering the demand for new season products. With the Christmas period fast approaching, furniture & floorcoverings and homewares sectors experienced a rise in spend as consumers start preparing to host guests. Christmas also contributed to a modest 1.4 point increase in the total food & grocery spend index versus last month, as consumers started buying festive products, in addition to pumpkins and treats for Halloween. ‘*’ The survey data is taken from GlobalData Retail’s 2018 monthly surveys of 2,000 respondents. 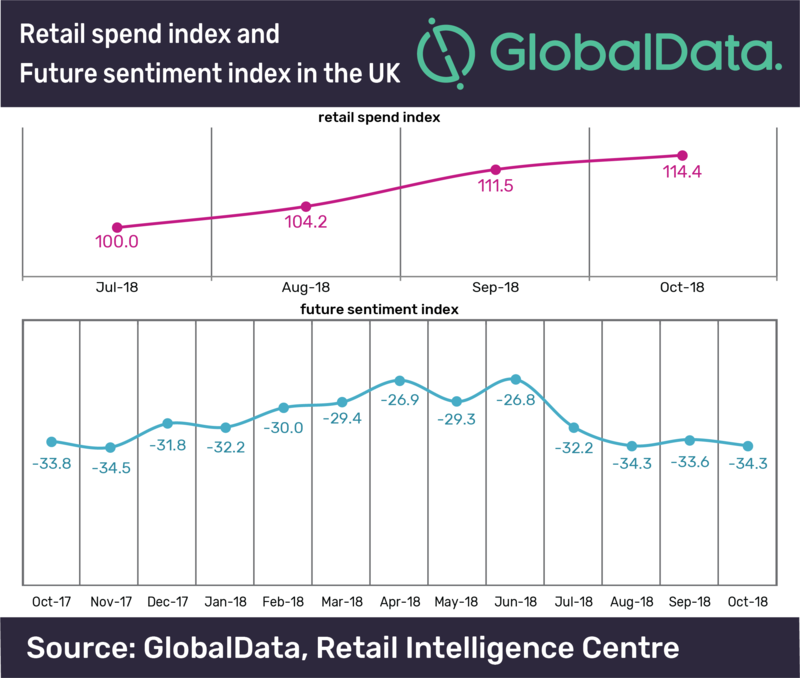 The indexes are calculated by summing the monthly spend for all UK consumers surveyed (July 2018 = 100).The future sentiment index is a combination of the indexes for economic outlook, personal finance and retail spending.